GUANGZHOU, China, Dec.14, 2018 /PRNewswire/ — GAC Motor, China’s fastest growing automaker, has delivered its 2018 quality report, highlighting the brand’s successful achievements as it carries out its quality-oriented strategy to drive growth in global markets. 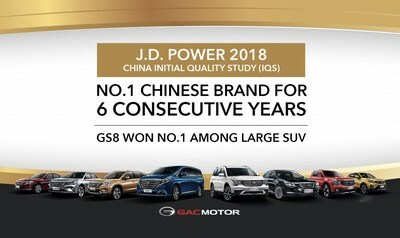 For six years in a row, GAC Motor has been ranked #1 in J.D. Power Asia Pacific’s China Initial Quality Study (IQS), a market indicator on vehicle quality that recognizes top-performing automobile brands and products. 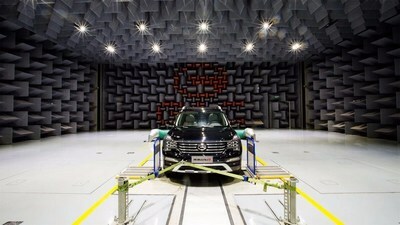 To further raise its industry-leading standard to 6ppm this year, showing the brand’s confidence in its product quality system, GAC Motor has partnered with 18 of the top auto suppliers in the world including Bosch, Denso, Continental, Aisin and Magna, based on the 2017 10ppm defective rate of supplier parts and components. GAC Motor’s commitment to quality strengthens every aspect of vehicle making, from design and production to auto parts and services. Its goal is to be the top Chinese automobile brand in the global market not just in terms of sales volume, but of quality and customer satisfaction as well. GAC Motor has established a comprehensive quality evaluation system that includes objective measurement, subjective assessment, long-mileage adaptability validation and tests on specific and functional performances. 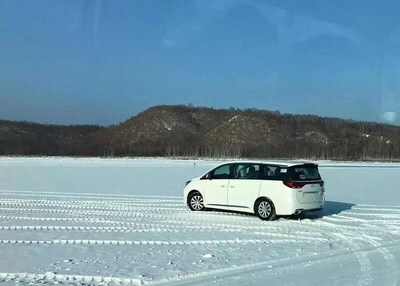 Before a new model is launched, manufacturers usually will test 150-200 vehicles for its functions, while GAC Motor tests more than 200 vehicles on their drivability, power, and brake system as well as the charge-discharge balance of EV/PHEV models in harsh natural environments, achieving an accumulative mileage of 4,000,000 kilometers (2,485,485 miles), which is equivalent to circling the equator 100 times. From scorching Turpan, which has been known as “Fire State” or “Land of Fire” for its extreme summer heat, with an average hig temperature of 39.7°C (103.5°F) in July, to the frigid Heihe(“Black River”), where average temperature in January is −23.2 °C, a team of GAC Motor engineers, known as “migrant birds” within the company, spends more than six months every year on the road across China to test vehicles under seven extreme geographic and climate conditions: alpine weather, high temperatures, plateau aridness, high humidity, high corrosion (salt mist), mountain terrain and sand-dust clouds. The goal is to guarantee each vehicle’s safety and reliability and ensure that GAC Motor’s strict quality standards are met. GAC Motor has also built a G-TVS quality certification system that covers vehicle, system and core parts and offers the two platforms for development and laws and regulations certification. The system can certify 1,000 items from 12 major categories including smart networks, new energy, crash safety and NVH. As the brand further expands into the global market, an overseas test team has been put together to test vehicles in North America, South America, Europe, the Middle East and Russia, ensuring that products released in those markets meet local customers’ needs. GAC Motor now operates in 16 countries and regions and runs three R&D centers in Silicon Valley, Los Angeles and Detroit. It organizes annual job fairs in U.S. and Europe, and also participates in major international auto shows throughout the year to promote its presence in oversea markets. Founded in 2008, Guangzhou Automobile Group Motor CO., LTD (GAC Motor) is a subsidiary of GAC Group which ranks 238th among the Fortune Global 500 companies. The company develops and manufactures premium quality vehicles, engines, components and auto accessories. GAC Motor has now ranked first among all Chinese brands for six consecutive years in J.D. Power Asia Pacific’s China Initial Quality Study SM (IQS), demonstrating the company’s quality-centric strategy from innovative research and development (R&D), to manufacturing to supply chain and sales & services.